On March, 2013, in MOOC, Technology. 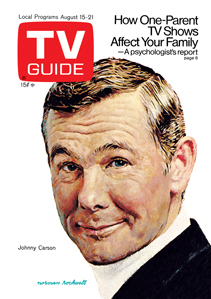 The most profitable company for TV in its golden era, before cable and the Internet, was the TV guide. It made more than the networks did. Networks, for our younger readers, were large broadcasting companies that worked with local distributors (affiliates) to make a broadcast network, exemplified by CBS, NBC or ABC in the US. I can’t help but feel that we are ramping up to that golden age very quickly for MOOCs, and whoever has the best directory will have tremendous influence over how the industry (and it will be an industry) develops. Stephen Downes MOOC Guide is a good example of an open source guide. Coursera is working hard to involve so many universities that it will become a defacto guide in itself. Edx is offering its courseware to anyone who wants to install and use it. One or more of these groups will eventually (and I think already has) offer the platform as-is for teachers to use to offer courses. A guide for that will also be essential in the near future. This guide would include the each platform available, the tools available, the requirements for hosting a course, and the outcome for both teachers and students. In the age of digital citizenship, (currently being discussed at the ETMOOC), the educational component of that citizenship may well require access to a directory like this, either for learning or for teaching, and may even be required eventually for access to parts of society the citizen belongs to. One may have to take a course in the constitution before running for office, for example. Certainly driver’s licenses could have requirements that might be satisfied with a MOOC, and add a built-in support group for driving issues after the license is obtained, in case one gets arrested or breaks down.